I went home for a while but I'm back to tidy up my apartment and thesis studio. 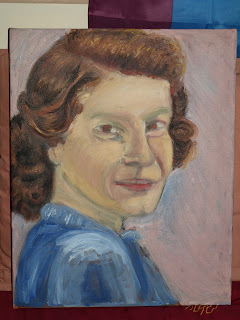 Going to work hard tonight to finish a portrait of my late Grandma for her husband. So far it looks Impressionist so It should turn out well as I know I can do that well. I will post pictures either tomorrow or later to night of it's progress.